Here’s what we can learn from the way Europeans cherish travel. Since moving to Europe nearly 6 years ago, I’ve learned a lot about the way Europeans go about their daily lives. Whether it’s the balance of home and work life, their approach towards sustainability, or the importance of community, I’ve been impressed and continue to find a lot of value and wisdom from these societies. But if there is one area that I’ve learned the most from Europeans, it’s how they travel. Europeans have been traveling for millennia. From famous travelers such as Marco Polo, to the teenage gap-year student setting off for a year of travels with just a backpack, Europeans value travel above almost everything else. Here are just a few of the things I’ve noticed about active European travelers and what they find important while on an active vacation. Europeans tend to want a good balance of their activities. A day of cycling through the countryside, a day of exploring a great city~ its museums, cafe’s, and side streets. Getting a good mix of cultural events such as festivals, with exhilarating options such as fresh-air mountain hikes or sea kayaking a gorgeous coastline. Countries in Europe have been competing against each other for centuries. That competition has lead to remarkable tastes and fine craftsmanship that has set them apart from their European counterparts. We’re well aware of German engineering, Italian fashion, and Scandinavian design. French wines, Italian cuisine, and Dutch cheese just to name a few. Most Europeans are polyglots; meaning they speak multiple languages. But don’t let that intimidate you, just attempting to speak a language while traveling in a country shows that you have a deeper interest in the culture that goes beyond just the main tourist sights. Learning a few basics and pleasantries can begin to open up doors and also help you to understand what’s important to a culture. The more you practice the better you’ll become. Just because Europeans work fewer hours in general, doesn’t mean they don’t work hard. Each country in Europe has different working conditions, but in German-speaking countries it’s quite common to have a furlough to relieve the stresses of work. Many of these overstressed workers receive paid time off to attend a spa or wellness retreat. It’s believed that healthy and happy workers are better for the economy in the long run. It’s also now illegal for bosses to send employees emails after work hours in Germany. One of the most impressive parts of living in Europe has been the importance placed on community events and gatherings. Whether it’s running with a stampede of bulls in Spain, or the cozy Christmas markets in Germany, or city-wide music and film festivals. A lot of time and money are spent bringing communities together across Europe. The way cities have been designed and laid out over the centuries have left Europe with many great public spaces to celebrate and enjoy their communities. Festivals seem to be woven into the fabric of European societies. After six years of guiding adventures throughout Europe, I’m still learning new lessons about travel from Europeans. Showing my guests the ways Europeans find joy and fulfillment through travel has become one of the best ways I can introduce visitors to this diverse and dynamic continent. 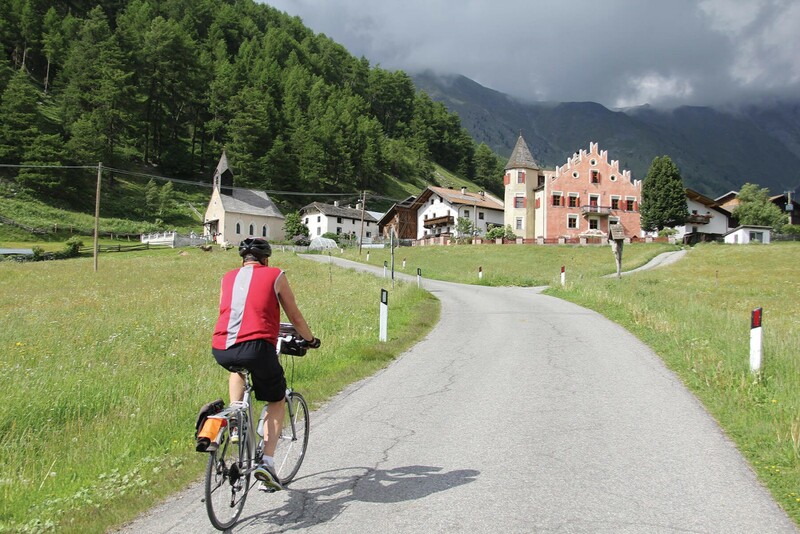 If traveling through Europe like a European is on your bucket-list, check out our European multi-sport adventures!